Touaregs at the Festival au Desert near Timbuktu, Mali. Photo by Alfred Weidinger, Wikipedia Commons. Its influence on the marginalized youth and ongoing economic hardships. The key political players in the arena are still traditional systems represented by: a consensual monarchy in Morocco facing tremendous challenges because of lack of social justice and equal opportunity; patriarchal tribalism doubled by fragile military rentier states in Mauritania and Algeria confronted by possible popular uprisings anytime or possible military coup; an explosive and tribally-fragmented Libya on the verge of becoming an official failed state, and a fragile and volatile democracy in Tunisia threatened by violent religious extremism. All of these Maghreb countries are living dangerously in the shade of over-looming religious fanaticism that thrives on social inequalities and youth dissatisfaction and anger and are dangerously tightrope-walking hoping to reach safety, at the least cost possible, with the hope to make political status quo a solution acceptable to all the protagonists, as long as possible. In this particular state of affairs very little has changed since the advent of independence in the fifties of the last century. Youth is still marginalized and the patriarchal tribal systems are omnipresent, stronger than ever, women continue to be discriminated against and the same is true of minorities, education is in shambles and only leading to unemployment and more frustration, equity and equality are a wishful thinking, and democracy is many light years away, if ever. So, in many ways the future looks very bleak, and all the ingredients are there for potential uprisings and explosions of violence. Algeria: Is there a pilot in the airplane? 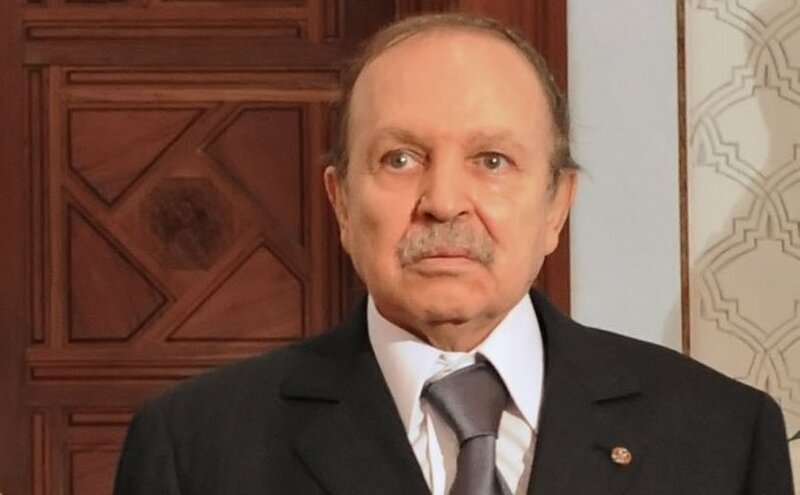 De facto, Bouteflika is still the president of the country though he has been incapacitated by a heart problem and is, now, permanently in a wheelchair. But, in reality, that has never been a problem because the true power, in Algeria, is, clearly, in the hands of a military junta that holds the reins of the country, behind the curtains, of course. Algeria, nevertheless, continued, since then, to be a rentier state using oils revenues to insure national reconciliation and social stability. But now that the president is in a wheelchair and the oil revenues have dwindled dangerously pushing the state to make use of its sovereign reserves to maintain the status quo. Why is Algeria still spending billions of dollars on the perpetuation of the existence of Polisario in the South, to no avail, at the expense of the Algerian people’s welfare? The two issues are painful for the army: giving power to the civilians is committing willingly hara-kiri, because that will bring to the helm their arch-foe: the Islamists who will be tempted to put an end to the benefits the generals get from the state and stopping support to the Polisario is offering the other arch-enemy Morocco the Western Sahara on a silver platter, without a fight and, consequently, strengthening the monarchy thereby. “The Libyan people did not exist as a homogenous nation under one flag and sharing one common ideal. It was a collection of fiercely autonomous, proud and unruly tribes, suspicious of centralised rule (first there had been a substitute Ottoman regency, then a mandated principality, next a short-lived monarchy – the last king of Libya, Idris I, was Algerian), which they saw as a potential threat and to which they would only give allegiance to preserve their own independence. The inexistence of state could lead to a massive exodus of African migrants to the shores of southern Europe creating social tensions in the countries of the region. Aware of these imminent dangers, the United Nations through the United Nations Support Mission in Libya (UNSMIL) has brought together all Libyan protagonists to agree on a solution acceptable to everyone. After many years of bickering, the Libyans reached an agreement in the city of Skhirat in central western Morocco on September 17, 2015 for power-sharing but this agreement has still to become reality on the ground. In the meantime, Libya will continue to be a powder keg able to blow up without any prior notice. Libya, as it is today, is a serious threat to the whole of southern Europe, either at the hands of the mercurial and violent Islamist groups, or through the thousands of potential African migrants that are waiting in the dark for any sign of instability to push their way to the European Eldorado. The fall of oil revenues will make Libya even weaker economically and politically to be attracted by the Islamist solution that blames the woes of the Muslim world entirely on the “emasculating” influence of the West. 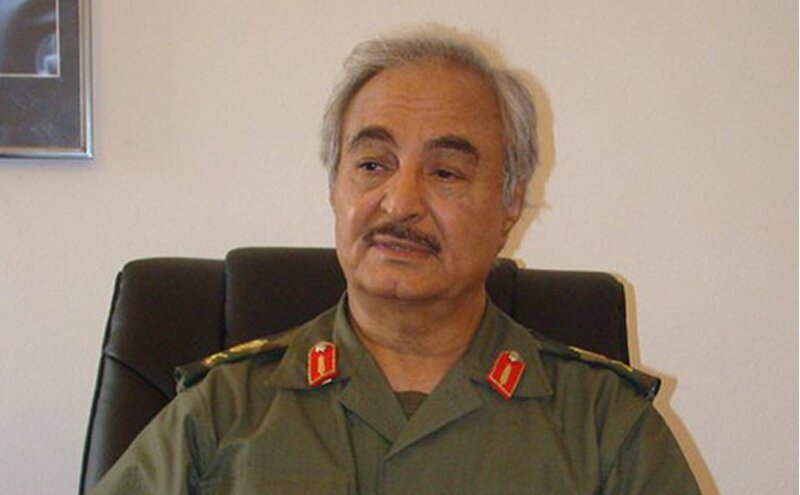 Libya’s General Khalefa Haftar. Photo Credit: Magharebia, Wikipedia Commons. 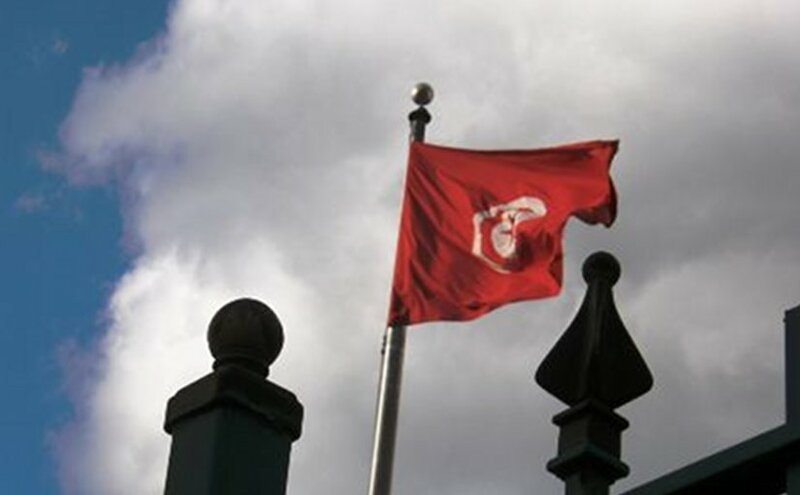 On October 26, 2014, the secular party Nidaa Tounes won the legislative elections pushing the strong and regimented Islamist party Ennahda into the opposition. People around the world acclaimed this victory of the secular forces on the Islamists. However, this looked as an easy conclusion out because Ennahda is a strong party whose only tagline is: “for the grace of Allah” and mobilizing its forces along this line is extremely easy, to say the least. In appearance it has given up its Islamist identity but that seems to be just a political ploy to gain support internally and externally. Nidaa Tounes is not a strong party, it is a patchwork of many political groups some of which are inherited from the era of the dictator Zine al-Abidine Ben Ali. Unlike Ennahda, Nidaa Tounes party members are motivated by money and power and they might, at any time, leave the party for some other destination where life is rosier and the grass is greener. As of today, Tunisia is a fractured society. On one side, there are the Salafists, who vote for Ennahda but do not share its views and consider it to be too soft on such important issues as the re-islamization of society. On this issue, the Salafists have shown that they could use violence, if need be, to achieve their aims. On the other side of the spectrum, there are the secularists for whom Tunisia is a country that has a long tradition of secular culture and should keep it so. At some point there is going to be a clash between these two tendencies that both believe they have the right solution for the country. So, the future of the country is not secure and the spate of terrorist attacks in the past years have proved that. The historical legitimacy, the monarchy enjoyed for more than 13 centuries uninterrupted in spite of various uprisings and even the division of the country, in the 19th, century into bled siba “land of dissidence” and bled l-makhzen “land of law and order”, because even in the land of dissidence, which was mostly Amazigh/Berber hinterland, the Berber tribes recognized the religious charisma of the Sultan but denied him the tax collection prerogative. 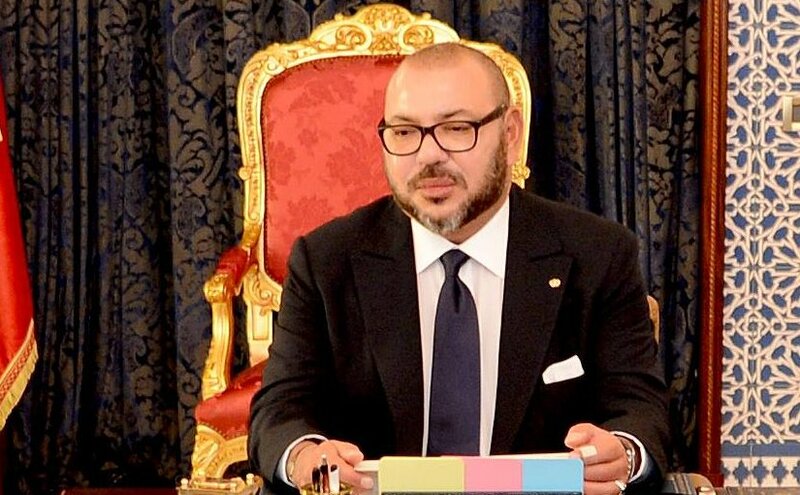 The monarchy has always been contested, especially during the reign of Hassan II, but it was never rejected outright because it always offered some sort of flexibility to the opposition forces. Morocco rode through the tempest of the Arab Spring remarkably well with a new constitution, not the best of constitutions possible, but certainly another important phase within the Moroccan incremental democracy. In 2011, the Islamists of the PJD (Justice and Development Party) won the general elections and were used nimbly by the establishment to ride out safely the Arab Spring tensions. In October 7, 2016, they won again the legislative elections with more seats but were unable to form a coalition government because palace parties denied them a majority in the parliament. Though Morocco is seen as an island of stability in a sea of turmoil, yet the “Moroccan Exception”xiv leaves a lot to desire in the arena of freedom of expression, for the Moroccan journalists are constantly harassed by the establishment and put in prison. The Moroccan government has yet to come to terms that freedom of the press and freedom of political expression are the foundations of democracy, if any. Mauritania is a huge desert territory populated by several tribes aspiring to become a nation, but the country is fractured along northern and southern groups of population identified by the color of their skin. In the north live al- bidan “the whites,” who consider themselves superior and control the security forces, the economy and the government. In the south, along the Senegal River, live the African Mauritanians, known as as-sudan, who are in many ways the underdog of this country. Location of Mauritania. Source: CIA World Factbook. In spite of the north-south jockeying for power and riches, the main important and most powerful tribe of all is, undeniably, the army, which remains the main power broker. Indeed, since independence and the stable civilian rule of the father of the independence, Mokhtar Ould Daddah (1961-1978), the country has been subject to successive military coups that have pushed the dream of democracy further away and kept the country in the status of tribal patriarchy ruled by the Arab al-bidan, who enjoy the riches of the recently-discovered oil in total ignorance of the minority black Mauritanians, who are still considered as second class citizens. Is the Maghreb Union dead? In this regard, he argued forcefully that intra-regional trade within ECOWAS is at the 10% mark and it is at 19% between the countries of the SADC community, whereas it has always stagnated at the poor 3% level in the UMA (Union du Maghreb Arabe.) He went on to say that while the West African Economic Community is realizing ambitious projects of integration and while ECOWAS is allowing the free flow of citizens, merchandise and capital, the Maghreb is at its lowest level of cooperation since its creation 28 years ago. France occupied Algeria in 1830 with the intention of making out of it a French territory facing Marseille on the other side of the Mediterranean. So, the concept of Algérie francaise dominated the French colonial policy for the 132 years of the colonization period. To make the territory big, France took entire swaths of land rich in minerals: Gourara, Jbilet, Tindouf, etc. from Morocco, but, also, from other conterminous countries such as Tunisia, Mali and Niger. On independence, Algeria became a socialist country and joined, somewhat, the Soviet bloc while Morocco was a liberal economy very close to the Western world. In 1975, Spain expressed its willingness to decolonize the Western Sahara that Morocco has always claimed as an integral part of its defunct empire. While Boumeddienne’s Algeria paid lip service to the Moroccan move, yet its intelligence apparatus created the independence-seeking movement of Polisario. Morocco organized the Green March and took control of the territory from Spain in 1975. Since, however, Algeria has spent billions of dollars in its support of the Polisario Front besides diplomatic assistance, last of which is its vote against the re-admission of Morocco in the African Union. Lack of democracy and freedoms. The Maghreb countries are requested to find solutions to these ailments soon for fear to fall into chaos and disorder that could last for decades to come. « In an open letter …, one of the accused, Biram Ould Dah Ould Abeid, vowed to continue his fight against slavery and appealed for the United States and European Union to put pressure on Mauritania to act against the practice, including stopping financial aid.